Kick off your visit on the 8th (Tue): make a trip to Tsunami Honganji Vihara, examine the collection at Community Tsunami Museum, then relax in the rural setting at Handunugoda Tea Estate, then take in the spiritual surroundings of Mahamevnawa Buddhist Monastery, and finally don't miss a visit to Japanese Peace Pagoda. On the next day, look for all kinds of wild species at Sea Turtle Farm, pause for some serene contemplation at Dutch Reformed Church, then look for gifts at Cara Jewellers, and finally relax and rejuvenate at some of the top local wellness centers. 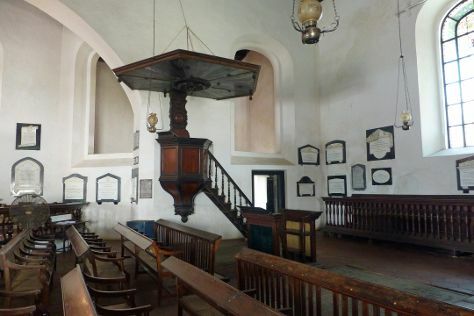 To see photos, ratings, and other tourist information, use the Hikkaduwa trip builder website . Kharkiv, Ukraine to Hikkaduwa is an approximately 22-hour flight. Due to the time zone difference, you'll lose 3 hours traveling from Kharkiv to Hikkaduwa. Prepare for much warmer weather when traveling from Kharkiv in January: high temperatures in Hikkaduwa hover around 37°C and lows are around 27°C. 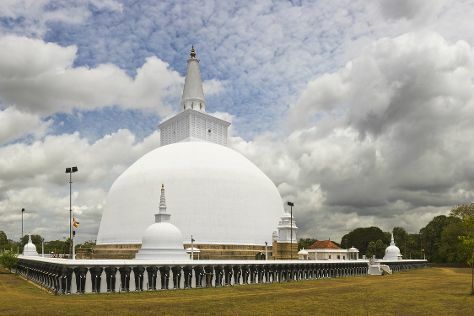 Finish up your sightseeing early on the 9th (Wed) so you can go by car to Anuradhapura. Explore the well-preserved ruins of an ancient Sri Lankan civilization and its former capital at Anuradhapura, a World Heritage Site and erstwhile center of Theravada Buddhism set amidst peaceful green parks. On the 10th (Thu), take in the spiritual surroundings of Isurumuniya Temple, contemplate in the serene atmosphere at Jaya Sri Maha Bodhi, take in the spiritual surroundings of Sri Maha Boodhi Temple, take in the spiritual surroundings of Ruwanwelisaya Dagoba, then don't miss a visit to Jethawanaramaya Dagoba, and finally snap pictures at Gal Palama (Stone Bridge) over Malwathu Oya. To see photos, other places to visit, traveler tips, and tourist information, read our Anuradhapura vacation planner . Traveling by car from Hikkaduwa to Anuradhapura takes 5 hours. Alternatively, you can do a combination of train, flight, and taxi; or take a train. Wrap up your sightseeing on the 10th (Thu) early enough to drive to Polonnaruwa. Lying 216 km (134 mi) from Colombo, Polonnaruwa offers a rich history second in Sri Lanka only to Arunadhapura. Start off your visit on the 11th (Fri): steep yourself in history at Lankathilaka Image House, contemplate in the serene atmosphere at Polonnaruwa Archaeological Ruins, pause for some photo ops at Gal Vihara, then don't miss a visit to Sandakada Pahana, and finally delve into the distant past at Polonnaruwa Vatadage. To see maps, other places to visit, reviews, and tourist information, refer to the Polonnaruwa trip planner . Getting from Anuradhapura to Polonnaruwa by car takes about 2 hours. Other options: take a train. Finish your sightseeing early on the 11th (Fri) to allow enough time to travel back home.